Refurbished B Stock cameras are units which have been previously used in installation and may show minor scuffs or blemishes. They are tested for full factory specifications, repackaged, and include a 12 month replacement warranty and are an excellent value. The sony xc collection of industrial video cameras are created with ease of use in mind and performance. It’s all metallic chassis, small, light weight design can take high vibration and extended temperature cycles without degradation of the cameras video signal. Operating parameters like as shutter speed and trigger modes can easily be set externally on the back control panel of the camera body. A solitary 12pin Hirose accessory connector provides access to additional signals like as vertical or horizontal synchronizing signals, external trigger , video outputs, and based on the camera type, more control I/O. Based on the style, the CCD imaging array has a 1/4-in, 1/3-inch, 1/2-inch, or 3/4-in form , and might use an interline or frame transfer system, with an interlaced or progressive mode for image read out. The techniques create razor-sharp image detail with low noise, whether monochrome or color types. Speeds up to 200 frames per sec. or possible in partial scan state, but some models can achieve an entire frame rate of 120 cycles per sec. 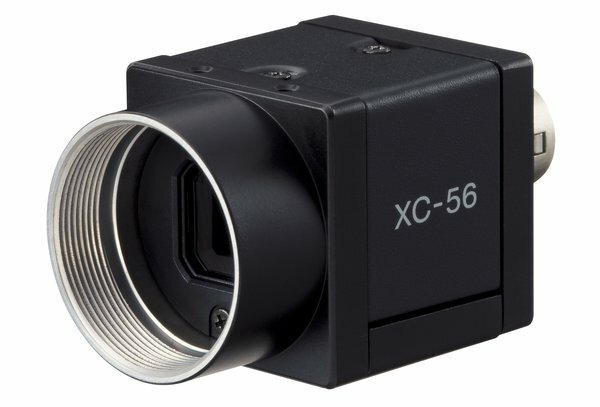 These qualities make the Sony XC camera collection perfectly matched for machine vision applications such as robotic pick and position, paper web monitoring, quality control on a manufacturing line, research observation, or straight image observation such as telescopic and microscopy uses. The Sony XC collection consists of a sub model styles such as the XC-ST and XC-ES collection for monochrome interlaced video output, the XC-HR series for high speed progressive scan imaging requirements, and the XC-EI collection for near infrared uses. The XC-56 ranks apart from other the sub models with its own special features for basic purpose vision technology applications. Its especially low weight, simple function and affordability make it a favorite in the industry. Together the Sony XC camera series provides the correct camera for almost any commercial imaging job. Industrial Camera Sales can easily assist you in selecting the correct model for your shop floor or manufacturing installation.